How to be a great writer is the matter of Stephen King’s memoir On Writing, where he reveals his valuable thoughts and shares the ideas of how to become a better writer. According to King, a television is the last thing you should have if you are a newcomer in writing, as he believes TV is like a poison for creativity. Being a writer means to live the life of the imagination and to do it, you should read as much as it’s possible. King reads everywhere, even during meals; the book is always with him, as he strongly believes that if you want to become a writer, two things are above all others: reading and writing a lot. Fight against your self-doubt, as someone will doubt you too. No matter what you are doing (writing, dancing, singing or painting) the other people may try to take you down and feel like a failure. Sometimes it may seem to you that you have no desire to continue writing. But to stop a piece of work only because you find it hard, whether imaginatively or emotionally, isn’t a good idea. One more thing, even if you fail, stay positive. It’s impossible to be a member of polite society if you plan to write as truthfully as you want. After all those angry letters, which accused King of being murderous, homophobic, and psychopathic, he used to feel the shame of his writing works. King says that you should stop trying to please all of your readers, as you just can’t do that. It’s must be about joy, if writing gives you fulfillment and happiness, you will write forever. According to King, it must be the pure joy of the thing. When you are writing, you should disconnect totally, as writing is a fully intimate thing. All possible distractions from the open windows to phones should be removed. Don’t be ashamed of your short words, and stop looking for long ones just because of that. Dressing up the vocabulary is definitely the worst thing that can be done. One more thing, avoid using symbols and utilize them only if it’s necessary. He illustrates this mistake with the example of a household pet in evening clothes when both the owner and the pet feel embarrassed, as it’s totally excessive. The idea that "the adverb is not your friend" has been emphasized in King’s memoir many times. King truly believes that "the road to hell is paved with adverbs". The phrases "he said" and "she said" are even better then adverbs. As the rhythms and the turns of your story flow with the paragraphs, don’t forget to pay attention to them too. According to King, it’s not so important what they say as what they look like. 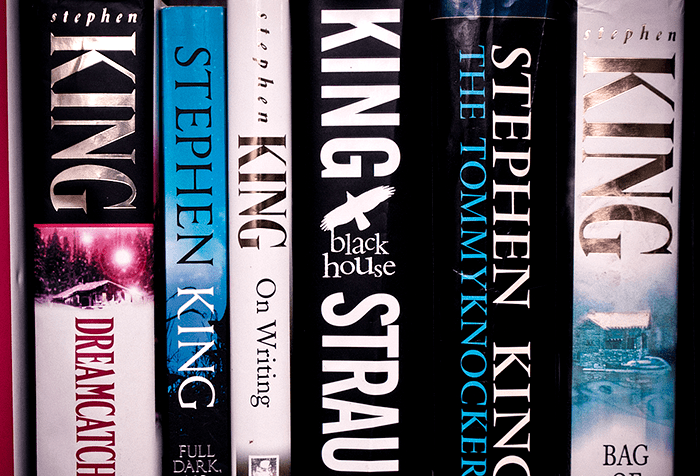 As King says, there are lots of bad writers, but his pieces of advice show us the ways to be a better writer.